Let’s start talking about your stage name. I’ve heard that King Krule has been inspired by the movie “King Creole”, starring Elvis Presley, right? Why did you choose it? Are you particularly attached to this movie because of its images or its soundtrack, or is it just because the name sounds so good? Yes, “King Creole” by Micheal Curtiz. I really love this film and one of the main reasons why I chose the name is that I love its soundtrack. “Crawfish” is one of my favourite songs. But yes, I think that it’s also because it sounds really good. You’ve recently been on tour in the US. You’re now off to France and you’re coming to Italy soon. Right? How has the foreign public welcomed you in your live performances? Have you noticed any differences between the countries where you have been performing? Do you think that the American public is somehow different from the English one? Yes there are definitely huge differences. I’ve just came back from the tour in South-east Asia and before that I was touring in Australia. They were different things, but both extraordinary. In Australia people were really attentive to the music, to its sense; the fans were really waiting to see you because you know Australia is so far away from Europe. When we got there we got a crazy reception. In Japan the crowd is really attentive, really respectful and it’s quite similar to the Parisian crowd, they are quite quiet and very respectful, they listen to the music in a different way. America was definitely like a jump ball between states, we’ve been in very different towns. For examples in university towns like Berkely and Boston I got a crazy response from the kids out there. You know, it always changes, every gig changes and I’m always feel nervous before the shows. It’s really important to me. You’re coming to Italy soon. Is it your first time in our country? Yes, this is my first time ever in Italy. I’m really looking forward to do it. I’m so curious. You have a very peculiar voice, a well-defined tone colour, when did you realize you had this potential as a singer? And what or who has inspired your way to sing? I started to sing when I was really young and I guess my voice then became lower and lower. The main start came from a lot of artist, for example Chet Baker was important, I love how he controlled his dynamics. And then again I was influenced from a lot of rock and punk, like Malcolm from the Rocks, Frank Black from the Pixies. I was even influenced from a lot of funk and soul like Donny Hathaway, George Benson and a lot of dub and reggae. In fact I heard you like artists like The Pixies, Style council, The Damned, Talking heads… You’re very young and those are all artists of a certain age; did you come to know them by yourself? Yeah I discovered most of them on my own, especially by the internet. But it was also thanks to the music my parents listened to, or my older brother too. Yes, definitely. I think that music has to be in the first place something personal. I mainly make music for myself and I do it for the reason that I can let out a lot of emotions through it and I can talk about the things that happen to myself. And also I can be cool, I can sing, I can be on stage, and I can be that guy that I’ve always wanted to be. And what about contemporary music? What do you like to listen to? A lot of different artists. Mount Kimbie for example, I’ve always listened to them, I’ve always followed them. A lot of new music from South-east London is coming out at the moment, all pretty good stuff. Lately I’ve been listening to a lot of Madlib, Freddie Gibbs, stuff like this. Then Ratking and Metro Zoo, I’ve kind of always followed them. You know, there’s really so much good music out at the moment. Your songs often convey a fantastic atmosphere, with strong shades, almost expressionist. It’s as if we were in a waking dream, in another life. In the past you said that you’ve suffered from insomnia. How do you think this problem and this period of your life has contributed to shape this specific sensibility? It’s true, I lived under the moon for such a long period of time, I never saw the daylight, just like a vampire. And that attitude had an influence on the way I saw the world, I always saw it at night, I always saw the night aspects of it. That emptiness of the streets and the silence made everything seem different. Your lyrics convey striking images, in particular with the descriptions of urban, desolated landscapes that seem to reflect your interior darkness. Can you tell me a bit more about your writing process? I keep this sketch book with me most days where I write down a lot of observations and a lot of poems that just spill out of me. I don’t think through too much about the words a lot of the time and then when I’ve created a piece of music that affects me I sit and I have to listen to it over and over again to see if I can put something that I wrote in my poems. I give huge importance to the text and to the words I use. You’ve been releasing EPs since 2010, when you were only sixteen! When did you start making music? I think I always wanted to be a musician. I definitely always wanted to. I started making music at the age of 8, I started composing my own pieces, that weren’t necessarily any good. Let’s say that I hope I have become better. How did it feel like to grow up in the suburbs? Do you still live there? I like the place where I’ve grown up. Yeah, I still live there, I live in the house I was born in. I moved out from my house for a year or so last year and now I moved back in. I’m living here alone at the moment, the house is empty, no one is living here, nor my mum, nor my brother. It’s cool because I have got all the place for myself, I have just taken over every room and made them music rooms. Do you think that without the experiences you got through, during your life, you would have become an artist anyway? I don’t know, I think that the experiences in my life really led me to where I am now. I don’t know where I would be. Maybe I would be making carpets. You’ve said that Mount Kimbie is one of your favourite group and you have recently collaborated with them. Did you enjoy working with this electronic duo? Yeah, like I’ve said, I love them. I love their music and I loved their music before I met them. It was a big thing for me. I think they are really really good in what they do, I think they’re geniuses. We worked very well together, it was a good time, a good experience. Is there any artist you would like to collaborate or gig with in the future? Shakira. I don’t know what's it going to sound like but I think it would sound really good. And finally I have to ask you: Have you got any plans for your near future? Are you working on new songs? When can we expect a new album to follow your last “6 Feet Beneath The Moon”? I write music every single day of my life, so my plans for the future are to continue to do what I’ve been up to. So when can we expect a new album to follow your last “6 Feet Beneath The Moon”? Ok Archy, this was the last question. Thank you very much for your time, it has been a pleasure! See you in Milan! 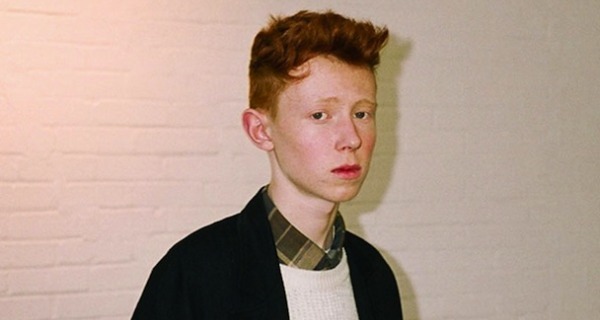 King Krule: a ottobre il nuovo album "The Ooz"